Welcome to Star's V.I.P. Limo's Inc.
Where You the Customer is V.I.P. Star's V.I.P. Limo's Inc. also offers professional security services that can be planned, and booked through our corporate office. Personal and Corporate flight planning, Domestic and International. Star's V.I.P. Limo's Inc. can help you plan your Airport Transportation needs in Seattle! If you plan on visiting the Eastside Star's V.I.P. 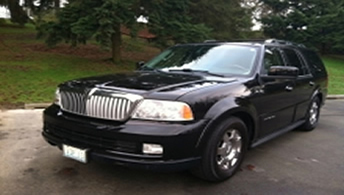 Limo's Inc. offers Bellevue Limo Service! Star's V.I.P. Limo's Inc also have Body Guard Services, and Motorcade Services are all under ONE umbrella. Call 206-604-2998 for a (Car Service in Seattle) Stars VIP Limousine Inc. is about providing Reliable, Limousine Service to the Airport. 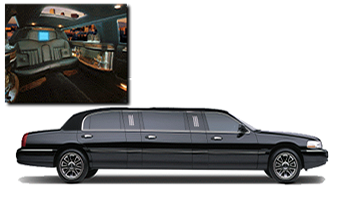 Hiring limousine services can make a special event feel extra special. Whether you're celebrating your wedding, an anniversary, or a birthday or you want limo service to the airport to start a vacation or business trip off on the right foot, you can't beat the sense of style, luxury, and comfort a limousine offers. In Seattle and the surrounding area, your best bet for quality limousine service is Star's V.I.P. Limos Inc. We've been in business since 2001, and we've earned a reputation as one of the local area's most reliable and affordable limo companies. Call or e-mail us now to discuss your limo rental options, and to book your ride! Plus an array of Lincoln Town Cars and luxury sedans! When you hire an airport service for transportation to and from one of Seattle's local airports, punctuality is key. After all, if your driver doesn't get you to the airport on time, you risk missing your flight and having your travel plans ruined. For airport pickups, meanwhile, the last thing you want at the end of a long travel day is to not have your prebooked car waiting for you when you leave baggage claim especially if you have to get to an event such as a business meeting or conference by a specific time. With Star's V.I.P. Limos Inc. as your go-to airport transport service in Seattle, you can stop worrying. We pride ourselves on being one of the most prompt and punctual transport services in the local area. Call us now to learn more! Contact Star's V.I.P. Limos Inc. for transport service to Seattle-Tacoma International Airport (Sea-Tac) and King County International Airport/Boeing Field. We'll pick you up anywhere in the local area and get you to the airport with plenty of time to check in, get through security, and get to your gate. We also offer airport-to-airport transport service, if you're transferring from one airport to the other to continue your travels. For airport transport service pickups, you can request a meet and greet at baggage claim or curbside. From the airport, we'll transport you anywhere you need to go in the local area. Our local iNeedaRide services can ensure that you get where you're going on time and stress free. Star's V.I.P. Limos Inc. prioritizes punctuality above all else, which means you can count on us for an on-time pickup and a quick ride. On top of our dedication to meeting your scheduling needs, we have a fleet of black iNeedaRides that are spacious, clean, and comfortable. With black car service from Star's V.I.P. Limos Inc., getting there in style in a Lincoln Town Car is part of the great experience. For business transportation or a special occasion, you can't beat the elegance and convenience of riding in a town car. For top-notch town car service in and around Seattle, turn to Star's V.I.P. Limos Inc. Our vehicles are sleek and well maintained, and our drivers wear shirts and ties to enhance the professional atmosphere. Whether you live in the area or you're visiting and need town car airport service, we want to be your choice for town car limo transportation. Contact Star's V.I.P. Limos Inc. today to learn more about the town car services we offer! When you're riding in a town car limo from our elegant fleet, you can sit back and let us handle the tough part of travel, while you socialize with your fellow passengers, carry on business conversations, or prepare for an important presentation or pitch. All of our Mercedes and Lincoln Town Cars are spacious and spotless, so you'll never feel cramped or deal with a mess from previous passengers. Choosing town car car service can also add a hint of luxury to your trip, helping you make a good impression when you arrive at your destination. When you want town car service in Seattle, you've come to the right place. When you hire someone else to do the driving, you aren't just putting your safety in that person's hands you're also handing them your schedule. That's why it's so important to choose a towncar service that believes in prompt and punctual service. Whether you need a town car to the airport or town car transportation to a special celebration downtown, you can count on Star's V.I.P. Limos Inc. to get you there on time. We strive to offer our clients some of the most punctual Seattle town car services. Safe, Punctual Prom Limousine Rentals The most important consideration when you hire someone else to do the driving is that you'll be safe. Star's V.I.P. Limos Inc.'s prom limousine drivers are all fully licensed and insured. We have 12 years of experience and extensive training that allows us to keep you safe on the road. We also understand how important it is for our prom limos to show up on time and to get you to the dance on time. You can count on us for prompt pickups and to know the best route to get you to prom quickly and safely. If you want prom transportation that is sure to make the night one of the most memorable of your high school years, you can't beat the luxury and fun offered by prom limousines. Plus, prom limo rentals provide the perfect backdrop for those all-important photos of the group in gowns and tuxes. So what are you waiting for? Call Star's V.I.P. Limos Inc. today to discuss our prom limousines and what you have in mind. We'll give you your free cost estimate and talk you through the various prom limo rental options we have available on your date. In the Seattle area, you'll love our prom limo services. Whatever type of prom limo experience you want, we'll work with you to give you a great time. Plus, we strive to keep our rates for limo rentals among the most affordable in the Seattle area. If you're planning to pick up your friends in your mom's station wagon because you think you can't afford a prom limo, give Star's V.I.P. Limos Inc. a call. We'll be happy to discuss your needs and give you a free cost estimate for your ride. We bring together low prices and high quality to create satisfied clients. Your wedding day should be one of the most memorable days of your life, so why not take the celebration up a notch with wedding limo services from Star's V.I.P. Limos Inc.? We'll treat you like royalty on your special day?and we promise to get you to your ceremony and reception venues on time and in complete comfort and safety. Each wedding limo in our fleet is spacious, elegant, and meticulously maintained, which makes them an ideal setting and backdrop for beautiful wedding photos. With wedding limousine transportation from Star's V.I.P. Limos Inc. on your big day, you'll have a stress-free way to travel and a memory to cherish for a lifetime. Call or e-mail us now to learn more! Do you need stylish and sleek transportation to get a VIP at your company to an important business meeting? Do you need a comfortable and affordable way for your department to go on a corporate outing? Contact Star's V.I.P. Limos Inc. today to discuss booking executive car service. We're Seattle's reliable and reasonably priced answer for executive car rental. We'll help you make a good impression and give you a great experience, whatever business you're in and wherever you need to go. Get more information and book your trip by calling us today! Need to Make a Reseveration?